When it comes to business and management, Japan is better known for its companies than its business schools. Japanese management is the stuff of legend: from lean production to knowledge management, the success of Japan Inc has attracted admirers from around the world for decades, even during the 'lost decade' of the 1990s. In 1992, a young Japanese entrepreneur, inspired by the education he had received while doing his MBA at Harvard, decided to open a business school in Japan. 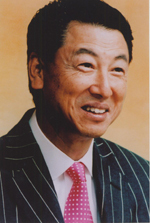 When Yoshito Hori started Globis Management School, his establishment was one of only two business schools in Japan - Keio Business School (KBS) was set up with the support of Harvard Business School in 1957. There are now more than 60 in the country. Many of these new schools are not even a decade old. Business schools may have contributed little to this success, but there is evidence that times are changing as far as business education is concerned.Hitotsubashi University in Tokyo, one of Japan's oldest and most famous institutions, didn't get a business school until 2000. Hirotaka Takeushi, dean of the Graduate School of International Corporate Strategy (ICS) at Hitotsubashi, explains that the university didn't think it was right for bright Japanese executives to have to go abroad to get an MBA. Many, he says, did not come back, preferring to take jobs where they were able to progress up the career ladder at a younger age: "It's a bit like the race between the tortoise and the hare. In the West, students get attractive offers: the starting salary is much higher and they have more responsibility for their age. But this is a short-termist view. Look at Toyota: there are tremendous opportunities within companies like that, but not at the age of 30." Maagement training used to be the preserve of large companies; employees were recruited straight from university and gradually conditioned and trained according to company values and methods. But after the losses during the 1990s, many companies cut back on their in-house training. "It used to be offered to everyone," says Kyoichi Ikeo, dean of KBS. "Now it's a lot more selective, but more in-depth too." The principle of a job for life, or at least long term, has come under pressure, generating more mobility in the labour market (although levels are still low by Western standards). Job fairs are now advertised in packed commuter trains, and individuals look out for ways of boosting their skills. Niall Murtagh, author of The Blue-Eyed Salaryman (2005), who worked for several years at Mitsubishi, says that many executives are highly skilled, although these skills are not always easily transferable because they are so company-specific. In that context, a more general management course can be a real asset. "What an MBA can do for students is indicate their seriousness, skills and standards of education," says Philip O'Neill of McGill Japan, which runs a weekend MBA programme at Sophia University in Tokyo. Symptomatic of this trend is the fact that many Japanese MBA students have to pay for their courses out of their own pocket; as a result, many courses are part time. At Globis, more than 90% of MBA students pay for their tuition themselves; at KBS, it's about 65%, a proportion that has been increasing since the 1990s. For a student, that means a financial commitment of $20,000-$30,000, three times the cost of a course in a state-subsidised school such as ICS. Hori says that he has applied for a state licence in order to make his courses more competitive. If granted, it would be a major step forward for his establishment. O'Neill says that many companies still don't look kindly on school-based management courses: "It's a sign that the employee might leave." But some companies realise that this is also an opportunity. "We have 250 corporate clients and they are all big corporations," says Hori. "They tend to send us their junior staff and retain the training at senior level. We are a complementary tool rather than competition." In fact, executive education and corporate programmes make up most of Globis' activities: the school has 180 MBA students, but 12,000 in total. The option of studying in English in particular is a major attraction for companies. English-language skills in Japan are among the poorest in Asia - a phenomenon, says Murtagh, that has its roots in primary education where English lessons are hindered by a complicated teaching system and uninspiring textbooks. Certain sectors have already started to suffer from this weakness, the financial industry in particular where more 'fluent' markets such as Hong Kong and Singapore offer better global alternatives. Aware of this, some schools now offer courses in both languages. "All our faculty are bilingual, so not only do students get excellent management training, they can also brush up on their English," says Takeuchi at ICS. "And companies can choose to have executive education programmes in either English or Japanese." For instance, Mizuho, a large Japanese bank, recently decided to hold its programme in English. Most schools, however, teach in Japanese only. With the exception of Western schools established in Japan (McGill, Temple), international students are limited to those that come to Japan on an exchange programme. KBS has partnerships with 23 institutions worldwide (from Kellogg to London Business School and HEC), where students get the chance to spend a term abroad. "Foreign students want to come here to learn about Japanese business and the management models we have developed," says Ikeo. At ICS, Japanese students opting for the two-year full-time programme also get a chance to do a semester at one of the school's 10 partner institutions. Japanese schools are yet to make an impression on the international scene - a handful have now obtained accreditations - but the creme de la creme of Japanese institutions are making a favourable impression among employers at home. "Our placement record is close to 100%," says Takeuchi. "Our placement director used to be a recruiter at McKinsey for 15 years, and by having a professional on board, our record has improved immeasurably." O'Neill says that McGill is in close contact with its alumni and that all of them have gone on to achieve great things. "Even people who moved laterally have been able to command salary premiums of 20%; that's very high for Japan," he observes. At Globis, the focus is on innovation. "We want to create visionary samurais of creation and innovation," says Hori. "We don't just want to create good general managers. We want people to create something new and to transform old bureaucratic organisations into dynamic ones." Uniquely, students have the chance to pitch their ideas to another of Hori's businesses, his venture capital fund. The danger with these developments in management training is that a whole swathe of middle management might be left out; excluded from in-house training, but unable to afford education at a business school. Many managers have therefore turned to alternative training options. Coaching Ourselves, an approach devised by management guru Henry Mintzberg and Jonathan Gosling at McGill and Exeter Universities respectively, provides a framework for managers to learn from each other. Groups of six to eight people meet once a week for an hour or so and discuss one of 40 available themes. Coaching Ourselves provides the material but attendees run the session themselves, learning from each other's experiences and ideas. Costs are therefore minimal, but results optimal. Mintzberg says that Japanese companies have taken up this approach with enthusiasm. "They see it as the way forward because they have a lot of respect for middle managers, and this is a way to get them involved in management training at a low cost." Lost decade or not, clearly there is a lot to learn from Japanese companies and their management style. *Ranking judged on a small sample of 117 institutions.